As a content marketing tactic, eBooks fit the bill for those businesses that need to communicate complex information but in a striking, easily digestible way. Infotaining eBooks raise the bar on “interesting” combined with practical, useful and even inspiring messages that align with the brand. Compared to many other content marketing tactics, eBooks represent a longer form of content that can educate prospective buyers about topics important to buyers and the brand. It’s a great way to demonstrate expertise in a creative way and is much more visually appealing than a white paper, yet more serious than an infographic. This longer form content marketing tactic is inching its way into popularity, especially among B2B marketers. According to the 2014 B2B Content Marketing Benchmarks Report, 34% are using eBooks as a content marketing tactic while 57% of B2B users consider eBooks to be an effective tactic. “The ebook has become the current standard for the long-form content package. 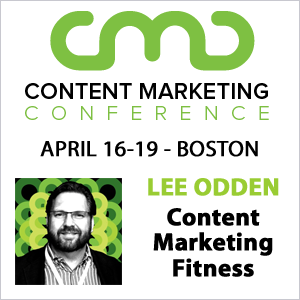 A lot of companies are moving away from the verbose white paper to the sleeker, more appealing ebook.” Joe Pulizzi, founder Content Marketing Institute (CMI). TopRank worked with CMI’s event, Content Marketing World to create a clever, eye-catching eBook to help promote the largest content marketing conference in the world. The eBook included tips and tactics from speakers at the event, many of which represent the top content marketing experts and companies (aka Content Marketing Secret Agents) on the web. With 85,000 views, it’s clear to me that TopRank knocked this one out of the park. Marketing content to industry peers is no small feat. TopRank crafted compelling content by leveraging a well-loved “Mission Impossible” theme. Who wouldn’t want to identify with Secret Agents? The content was clever without sacrificing its overall message: gain a competitive advantage when you read these tips. Displaying a clear call to action in both the opening and the closing slides worked beautifully with nearly 35,000 marketers viewing the eBook from an embedded link. One of the world’s most respected and proven marketers share what changes they believe are in store for social media in 2013. For Dell, social media is more than a tool — it’s an extension of their brand, which is all about enabling people everywhere to use technology to grow and thrive. Dell engaged TopRank Online Marketing to create this eBook to communicate to both Dell customers and the community-at-large about future social media trends and aligning social media expertise with Dell’s own social media thought leadership. Choosing industry experts to provide predictions earned Dell fantastic visibility with 146,000+ total views. It also demonstrated their commitment to the community and strengthened their brand as a global technology and social media innovator. 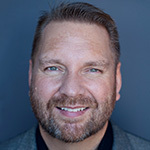 The content was concise but packed a wallop with commentary from such marketing notables as Valeria Maltoni (@ConversationAgent), Michale Brito (@Britopian), @RohitBhargava and our own @LeeOdden. Including their unique selling proposition along with a clear call to action on the end slide provided a perfect example of how to conduct social business. As with any successful eBook, your business wants to solve a problem through educating your target audience. In their case, Lumension’s research revealed a potential roadblock to sales. While their target audience was technology decision makers, they could not get buy-in from their CEO. Security concerns were a real threat to IT infrastructure but a low priority for many CEOs juggling numerous responsibilities. They created an eBook to demonstrate that security issues are relevant to both industry reputation and lost revenue and backed it up with proof. The eBook was downloaded more than 7,000 times. Writing a title that captured security-minded decision makers with information they could bring to their CEO who has ultimate sign-off on approving security expenditures was a smart way to attract and engage both audiences. Providing interactive content, such as embedded videos and a hyperlinked table of contents, allowed the reader to easily navigate to any section of particular interest. Updating the first version of an earlier eBook demonstrated a commitment to helping its primary audience (IT professionals) by educating its secondary target audience (CEOs). With 85 e-books in circulation and many more waiting in the wings, no doubt, HubSpot could be called the “granddaddy” of eBook marketing. From the beginning, eBooks have been one of HubSpot’s primary lead generation tactics for this inbound marketing automation software company. A great eBook can garner industry and press attention (Deloitte and Forbes), as well as confer expert status. By optimizing its landing pages they can further promote their e-books via social media, paid advertising and drip marketing. Use a clear and relevant call to action according to the eBook purpose. Thought leadership eBooks might only ask for a share. Case studies and best practices eBooks might ask for a consultation. As more brands mature their ability to publish robust content, eBooks will grow as a powerful asset in the content marketing mix to attract, engage and convert more business – especially in the B2B marketing space. 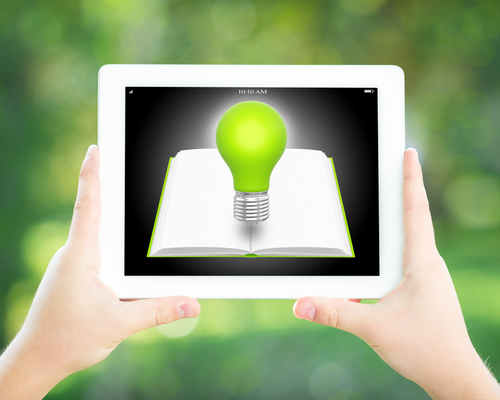 Is there an eBook in your organization’s future? If you don’t have the internal writing and design resources to create a winning eBook, TopRank has demonstrated expertise in this area as the examples above show. For more best practices content marketing tips, see our list. Great insight.Thanks for sharing these tips Nicolette. If done right,eBook can be key tool in your painless prospecting efforts. I would be interested to know if you or anyone had any customer who bought your product after reading your ebook? Any stats on the conversion power of an ebook? Great examples. What are your thoughts on paid-for eBooks as a tactic within the content marketing mix? Initially, this post had information about paid ebooks but I decided to have Nicolette focus more on the free versions that are so common. eBook sales are not rising but as a tactic to generate new business, they can be effective. The commitment to purchase and then consume the content makes that buyer highly qualified. It also means there needs to be some pretty effective marketing of the fee-ebook. ebooks can also be added to some social/professional profiles. Check LinkedIn, ExpertFile, and others to add them in their PDF format. Or simply use Slideshare and then you can add them to your profile via the Slideshare api. In any event, make sure your ebooks are easy to find and evaluate, just like published titles on Amazon. The eBook is a great content format to use to incentivize email/blog sign up. And as an advocate for small-business-ready content marketing, I’m pleased with how affordably eBooks can be pulled together. Wonderful examples Nicolette. I like the fact that they are so varied in their approach and industry. I really enjoyed the tip about deconstructing your eBook and promoting it in advance using social media.